Anyone who knows me well will know about my huge interest in princess Charlotte of Wales, the daughter of The Prince Regent (later George IV) who died in childbirth in 1816. She is massively significant in history. Had she not died there would have been no queen Victoria, there would be no Queen Elizabeth now. And yet she has almost been lost in time. Her short life now confined to history books. I have always been fascinated by her and the thought of what could have been had she not died. I have sought out every book I can find on her including books from the time of her death. I have visited Claremont in Esher, where she once lived and been to see her portraits at galleries. One of the most amazing things I saw was her baby shoes which were on display at Kensington Palace recently. Today I heard that the Royal Pavillion, former home of her father is hosting an exhibition all about her. I cannot wait to go. The exhibition contains a mixture of Charlotte souvenirs from her birth and death, clothes, paintings and other material relating to her life. Many items are borrowed from the Royal Collection and other museums and galleries. For those of you who don’t know much about Charlotte, she was born in 1896 the daughter of George and his wife Caroline of Brunswick. Her parents loathed each other and the marriage was over within a year. Charlotte was torn between her warring parents throughout her life. 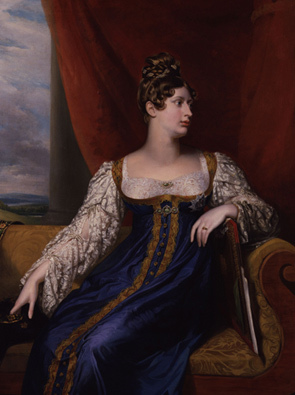 Charlotte is significant because she was the only legitimate granddaughter of George III. After her death the princess George’s siblings rushed to produce an heir, resulting in the birth of queen Victoriadaughter of the Duke of Kent. In other words Victoria would not even have been born had Charlotte not died. Charlottle went on to marry Prince Leopold of Saxe Coburg, and lived happily for a very short time in Esher before dying shortly after giving birth to a dead son. The loss was huge to the country, thereas a long period of shock and mourning. 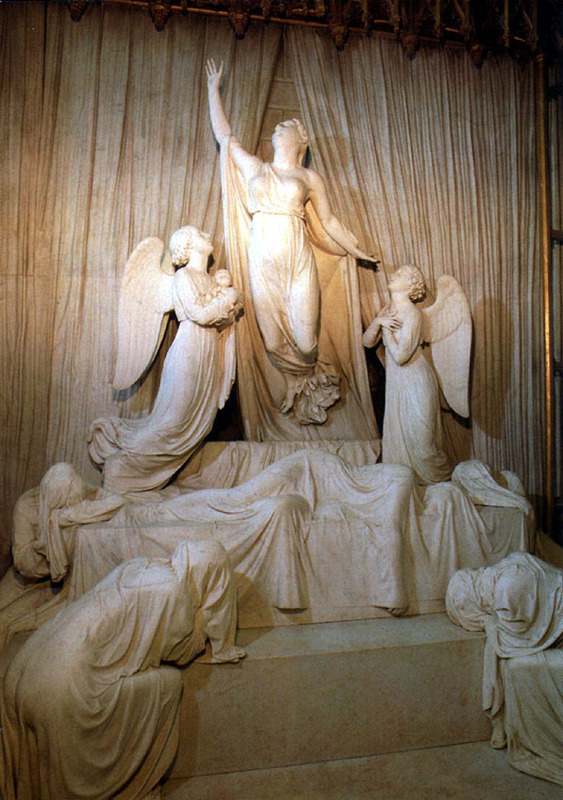 Charlotte was burried at St Georges Chapel in Windsor with her son at her feet. This amazing monument payed for by the public stands there in her honour. I’ll probably write a bit more about Charlotte in a future post. And I’ll definitely be going to the exhibition and writing all about it as soon as possible.